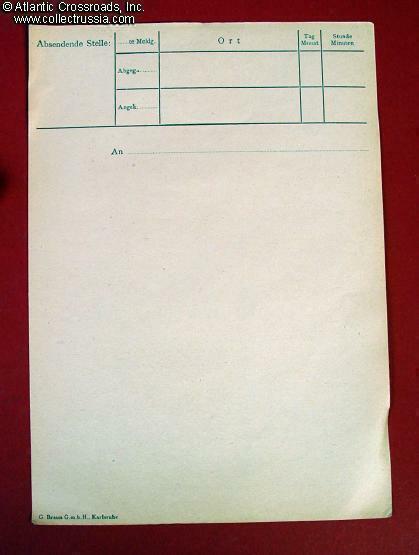 Situational Report form for mapcase insert. Situational Report form for mapcase insert. Original wartime issue, unused. Single printed paper sheet. On one side, an area for writing message, with boxes for date / location/ to / from / hour / minute. On the other side a cartographic map grid and scales, for marking locations. 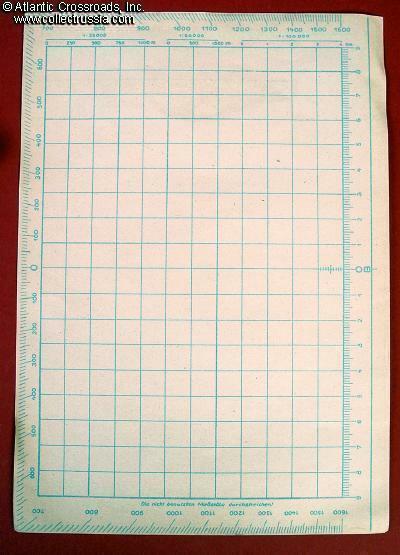 Dimensions are exactly correct for inserting into a standard celluloid map case insert, about 6.5' x 9". Good mapcase accessory item in unused condition.